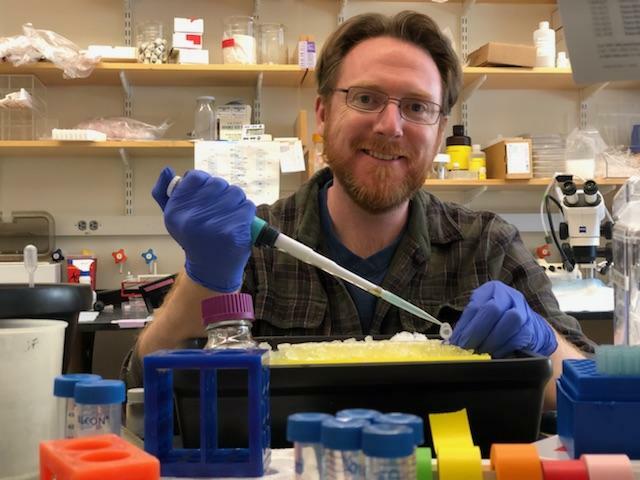 With a $90,000 grant from FRAXA Research Foundation in 2018, Dr. Patrick McCamphill, postdoctoral fellow in Dr. Mark Bear’s lab at Massachusetts Institute of Technology (MIT), will investigate drug tolerance to mGluR5 antagonists, arbaclofen, and other potential Fragile X treatments. He will then explore ways to overcome it. Several years ago, many families across the U.S. and in a number of countries participated in large-scale clinical trials of experimental Fragile X treatments from Novartis, Roche, and Seaside Therapeutics. While these trials ultimately failed to demonstrate that the treatments worked, many of these families reported exciting improvements. Why did these trials fail? One potential explanation is that tolerance rapidly develops to the drugs, so they lose their effectiveness. Indeed, some caregiver reports have suggested some early improvement that did not continue for the length of treatment. 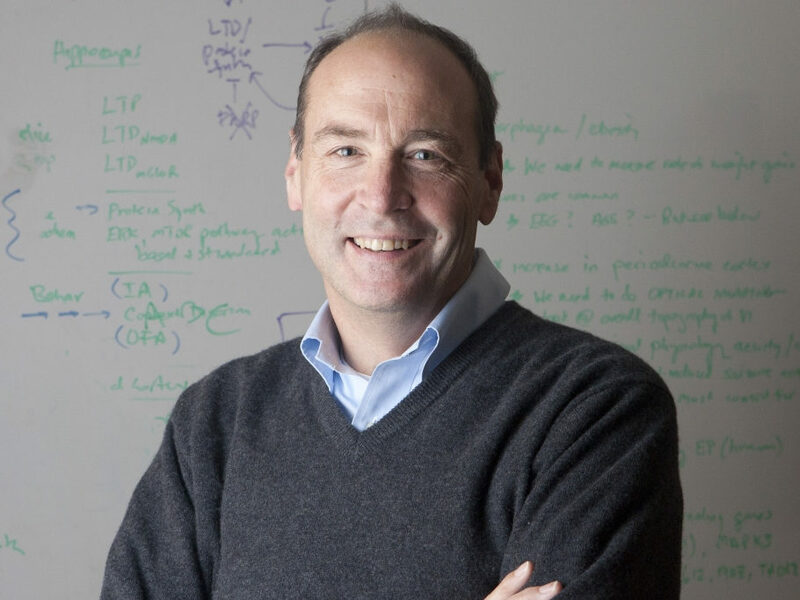 In 2005, FRAXA Investigator Dr. Robert Bauchwitz and colleagues showed that an experimental compound which blocks mGluR5 protected Fragile X mice from seizures. But this effect faded quickly with chronic treatment, suggesting that the mice developed tolerance to the drug. With a grant from FRAXA over 2016-2017, our lab at MIT found preliminary evidence confirming Dr. Bauchwitz’s result. The first goal of our new study is to understand this drug tolerance to mGluR5 antagonists in Fragile X mice and to explore approaches to avoid or reduce it. We will also determine if tolerance develops to a range of other drugs which show promise for Fragile X, including arbaclofen (a GABA-B receptor agonist) and GSK3 inhibitors. Arbaclofen, code-named STX209, was tested unsuccessfully by Seaside Therapeutics in large-scale clinical trials for children with Fragile X, so it will be quite important to understand if tolerance was a factor in those results. GSK3 inhibitors, including lithium, have successfully reversed Fragile X symptoms in animal studies. Development of tolerance may explain the disappointing clinical results obtained to date with a range of drugs. The possibility of tolerance has been relatively neglected in preclinical studies to date, so we propose to compare durable efficacy of three different pharmacological treatments that target different stages of the aberrant signaling pathways in Fragile X mice. We will also investigate the potential problem of cross-tolerance, when taking one drug produces tolerance to another similar drug, and look for ways to avoid it using combinations of various drugs to maintain benefits over the long term.